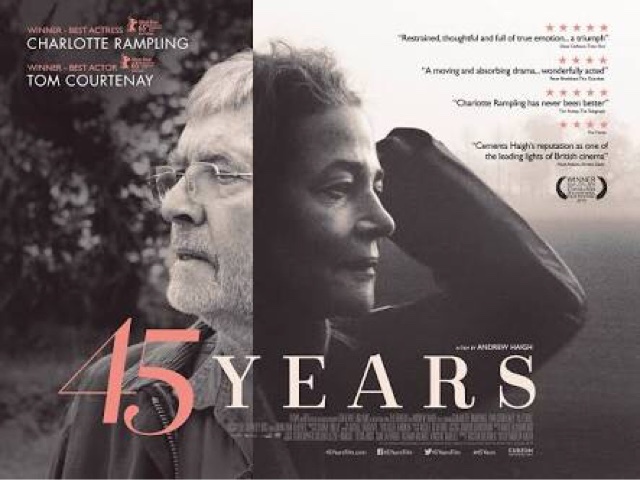 Andrew Haigh's follow-up to his under watched, yet sublimally honest Weekend, is a quietly powerful and emotionally poignant examination of love and relationship, anchored by the extraordinary performances of Tom Courtenay and the brilliant Charlotte Rampling. Haigh uses a simple narrative and a very naturalistic style to convey the complexity relationships. And in this instance, he found in Rampling a face that speaks a thousand words, and it was in the quiet moments that both the film and Rampling stood out. Words were truly not necessary, and even inferior, to the describe the complexity of emotions and feelings that Rampling's character goes through. A welcomed distraction to all the seriousness of the year-end glut of Oscar nominees. 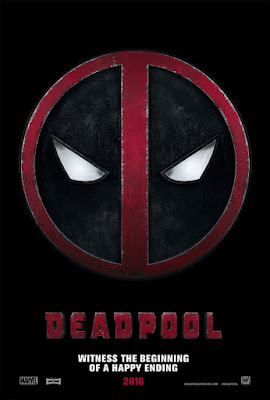 Deadpool, and Ryan Reynolds, was a R-rated, irreverent entry to Fox's Marvel Cinematic Universe that was fun but never really laugh out loud funny, violent but oddly gratuitously un-goresome, and towards the end, way too overly self-referentially meta to be effective anymore. The best praise for the film will be that the concept itself would have made for an excellent Netflix series! T.J. Miller is a competent director and the film went along speedily through it 108 minutes as Rhett Reese's and Paul Wenick's script weaved through time to present an origin/love story for the eponymous character. You know you are in for a different sort of MCU movie when you hear the word "mutant" being uttered (instead of "enhanced" or "inhumans") and when you see your first blood splatter. A ridiculously bad film that remained watchable only for the sheer novelty of its concept, otherwise, it largely squandered the potential of its source material - and its source material's source material - and its cast. With the exception of Matt Smith who provided the best laughs with his bumbling buffoonery as Mr Collins, everybody else were literally dead on their feet with nary a spark of chemistry between the cast. 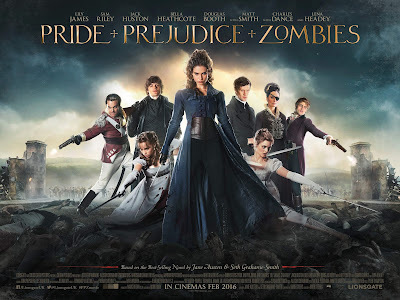 Written and directed by Burr Steers, this film was more a zombie-apocalyptic film with Austen-esque beats, rather than Pride & Prejudice with the undead. Steers screenplay was undecidedly un-Elizabethean and when he tried to shoehorn dialogue into Austen's prose, it just stucked out like a sore thumb. Even his characterisations of the beloved characters - updated as it were to this version - were off kilter and sorely superficial. Alejandro G. Iñárritu's bid for a consecutive Best Director and Best Picture win is a revenge drama that was as beautiful as it was violent and cold. 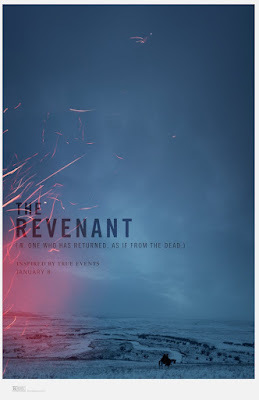 Despite a ferociously committed performance by Leonardo DiCaprio, a finely nuanced villain in Tom Hardy, as well as Emmanuel Lubezki's gorgeous cinematography, the film's screenplay was just too skeletal to be stretched out over 156 minutes with Iñárritu sacrificing characterisation and authenticity for spectacle, shock and gimmicks. The first thing that comes into mind in comparison with this film was how like Park Chan-wook's The Vengeance Trilogy this felt like. Like the trilogy, this was a violent tale of revenge, but unlike the Korean films, there was a lack of emotional resonance in its characters. Also, the ending was too heroically unrealistic and Hollywood-esque which robbed the film of the authenticity that Iñárritu and DiCaprio tried so hard to achieve. 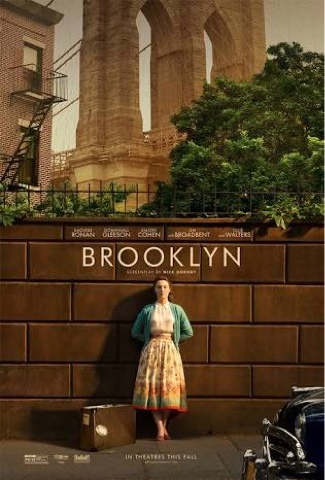 A delightfully light and fun romp that may have just ran a wee bit long and was a bit overly melo-dramatic, but anchored brilliantly by Kate Winslet with scene-stealing turns by both Judy Davis and Hugo Weaving. And who can forget the coustumes?! The Haute Couture out in the outback! This was a rather simple story by writer/director Jocelyn Moorhouse, and as the tagline goes, about: love, revenge and baute couture. It feels almost YA-like in its plot, from the central mystery to the love story to the tragic twist and lastly to the comeuppance. But yet, it was not YA-enough to wrought the melodramatics nor heavy enough in its themes to really feel Oscar worthy. Lucky for it, it had many glorious laugh out loud moments. 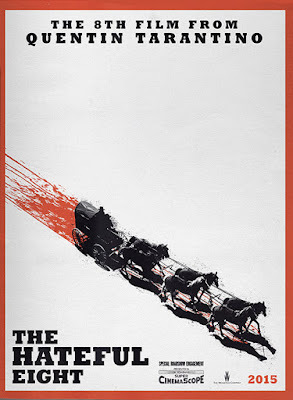 No doubt about it that this is a Quentin Tarantino film. Not only in terms of over-top-violence, but also the humor and style. However, unlike his more recent outings, this film was actually smaller in scope but yet more immediately entertaining. But then it also presents another dilemma in that it was shallow at its core. Essentially, it boiled down to being an Agatha Christie-esque Taranatino-styled Western whodunnit, all mystery and thriller without any sort of central theme. It would make a great stage play in the vein of Mousetrap, but The Crucible this ain't. Although by golly, the score was seriously amazing as was the gorgeous cinematography. And for once, at this stage, I can safely say that Ennio Morricone deserve to get the Oscar for this utterly visceral work. The score was a palpable creature onto itself throughout the film and it really set the tone, and gave the film an almost frightening vibe - Roman Polanski's Rosemary Baby kept springing to mind throughout.